A Highly Replenishing Treatment that is a genuine source of essential elements required for optimal internal poly-revitalisation, with vitamins, a Zinc-ADN complex, anti-oxidants, minerals and vitamin O to oxygenate and boosts the cell's growth, rebuild the skin's DNA and replenish collagen and elastin. 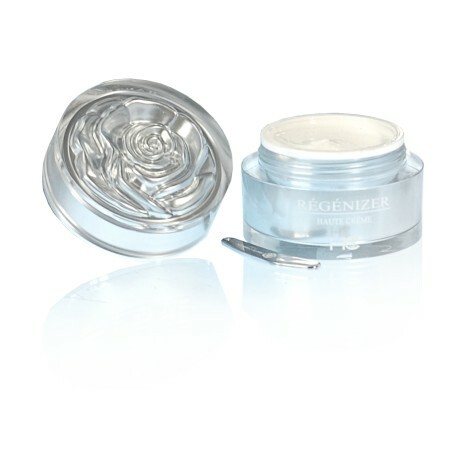 A Highly Replenishing Treatment that is a genuine source of essential elements required for optimal internal poly-revitalisation, with vitamins, a Zinc-ADN complex, anti-oxidants, minerals and vitamin O to oxygenate and boosts the cell's growth, rebuild the skin's DNA andreplenish collagen and elastin. A redensifying treatment with a fine but powerful texture that offers perfect effectiveness for flawless, rejuvenated skin. In the morning and evening after applying Regenizer Solution and Serum, apply to the face, neck and cleavage.